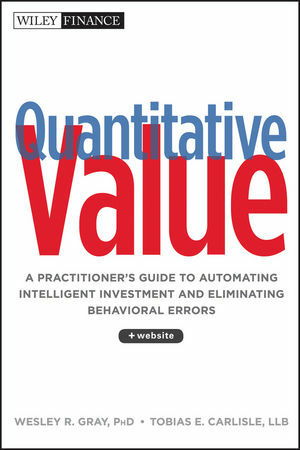 Our work is related to previous research on payout yield as a predictor of future returns. Grullen and Michaely  find that firms have substituted away from dividends towards share repurchases. Boudoukh et al (2007) construct two measures of payout yields (Dividends plus repurchases, as well as Dividends plus net repurchases). They find that these payout measures have more predictive ability than the dividend yield. We contribute to the literature by examining an additional variable to our payout yield, namely net debt pay down. Net debt pay down was first proposed by Priest and McClelland (2007), but is not rigorously analyzed. As a preview of our results, we find that the addition of net debt pay down helps performance, but is not a panacea. Similar to all yield metrics, results in the latter half of the sample (1992-2011) are not as strong as those in the first half of the sample (1972-1991). We perform a similar study as Patel et al. on all our yield metrics, but focus on the dividend yield (DIV) and our complete shareholder yield metric (SH_YD) to assess the “high yield, low payout” outperformance hypothesis. We confirm the basic conclusion from Patel et al. that low payout firms outperform high payout firms across all yield quintiles. For example, in the top DIV quintile, high DIV firms earn 12.16% CAGR from 1972-2011, however, low payout firms earn 13.43%, and high payout firms earn 12.15%. After risk adjusting the results with the 3-factor model we find no evidence of outperformance for any DIV portfolio. 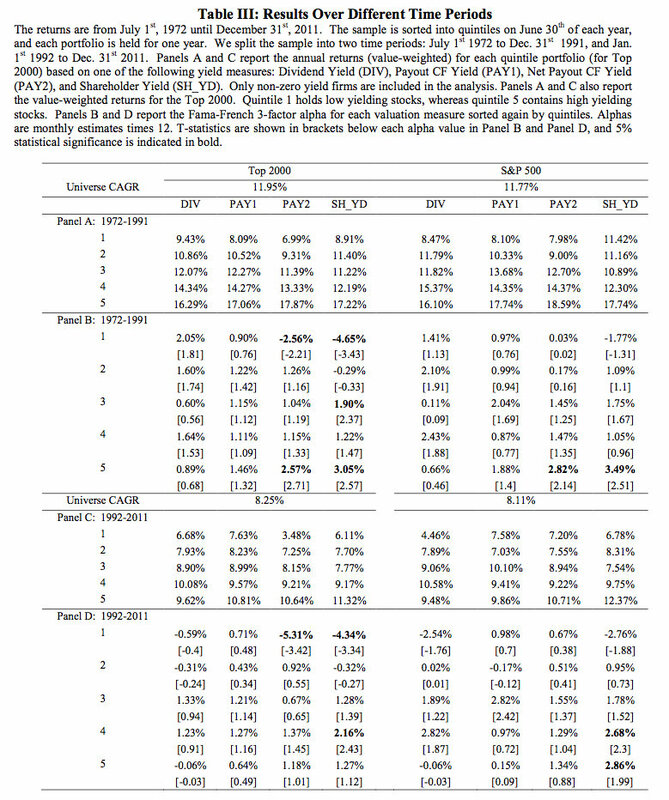 In Table V we assess a variety of additional risk/reward characteristics. There is no clear evidence that splitting high DIV yield firms into low and high payout adds risk-adjusted value relative to the standard high DIV yield strategy. For example, max drawdowns suggest that high DIV, low payout strategies are actually riskier than high DIV, high payout strategies (64.35% drawdown compared to 58.27%). However, Sharpe and Sortino ratios are marginally higher for high DIV, low payout strategies relative to high DIV, high payout strategies. 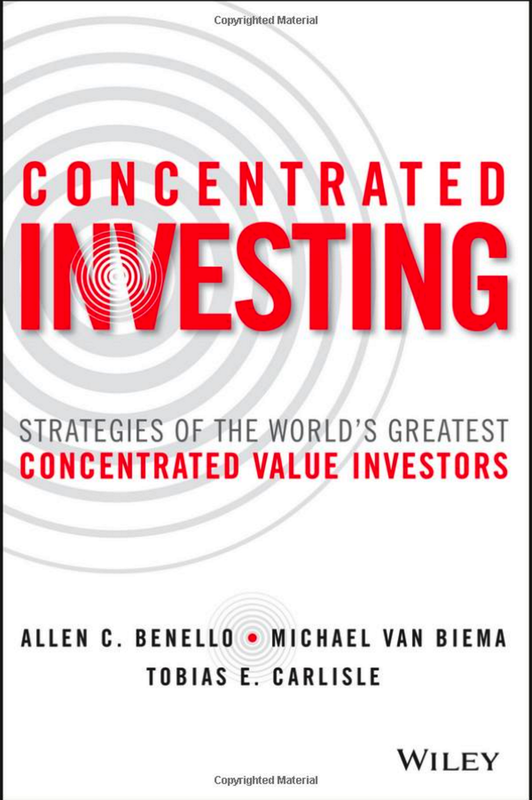 When we examine high SH_YD stocks, we come to a similar conclusion: there is no conclusive evidence that separating stocks on payout percentage within a given yield category can systematically add value to an investment strategy. In summary, we confirm that separating yield quintiles into low and high payout bins has worked historically on a raw returns basis for DIV. Nonetheless, an investigation of the strategy on a risk-adjusted basis and across different yield metrics and samples suggest there is no evidence that a high yield low payout strategy can help an investor predict stocks. If anything, the evidence suggests that investors should potentially investigate strategies that focus on low SH_YD low payout strategies. 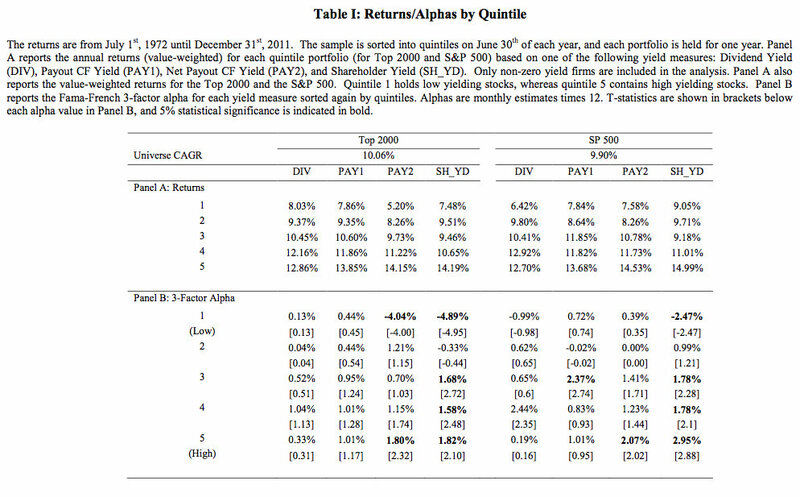 The alphas for these stocks are -6.30% for the Top 2000 sample and -5.33% for the S&P 500 sample; the additional risk/reward ratios in Table V also show terrible performance for the low SH_YD low payout strategies. 1. More complete yield measures improve performance. 2. All yield measures are becoming less effective over time. 3. Attempting to improve yield measures by separating on payout percentages is not a reliable tool to enhance investment returns.